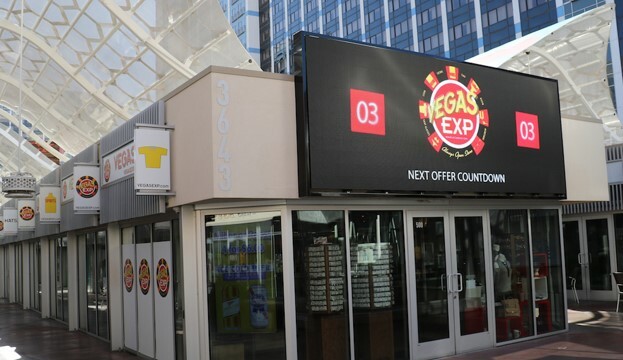 Beyond the applications described above, Vegas EXP plans a number of future improvements to take further advantage of its digital signage infrastructure. For example, using BrightSign’s Bluetooth/beacon integration, it will be possible for Vegas EXP to ping customers via their mobile phones as they enter the store, and even track their in-store progression to better understand the store’s most frequently traveled traffic patterns. Once connected via customers’ mobile phones, the store can target them with post-visit promotional offers and incentivize future visits with limited-time in-store discounts. Additionally, Vegas EXP is in the process of deploying Rockbot running on BrightSign players. Rockbot is an entertainment platform that enables customers to interact with in-store signage via their mobile phones, crowdsourcing the store’s audio playlist in real time.